Welcome to our gallery showcasing the richly detailed, idiosyncratic Studio 2 by PplusP Designers. 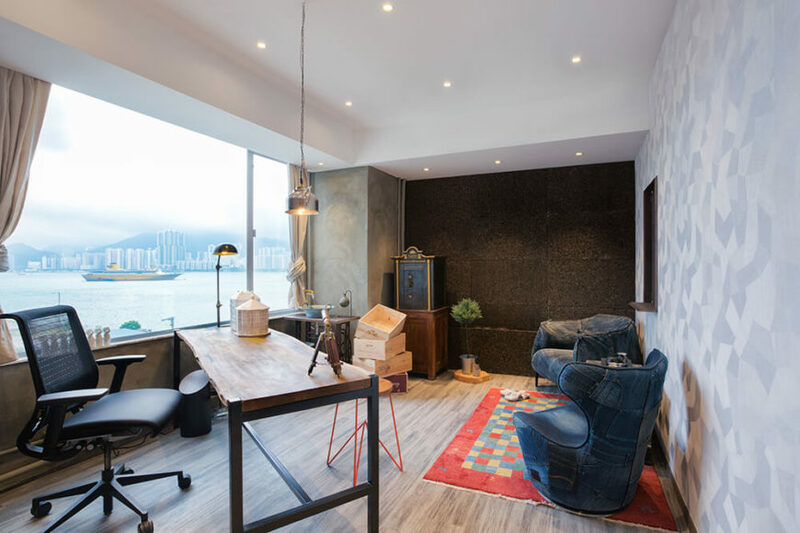 Based in Hong Kong, PplusP Designers (P+P) is an up and coming design firm that produces high quality and innovative solutions. The mixture of exquisitely detailed interior design and comprehensive project management allows the company to craft wholly unique spaces with a distinct point of view. 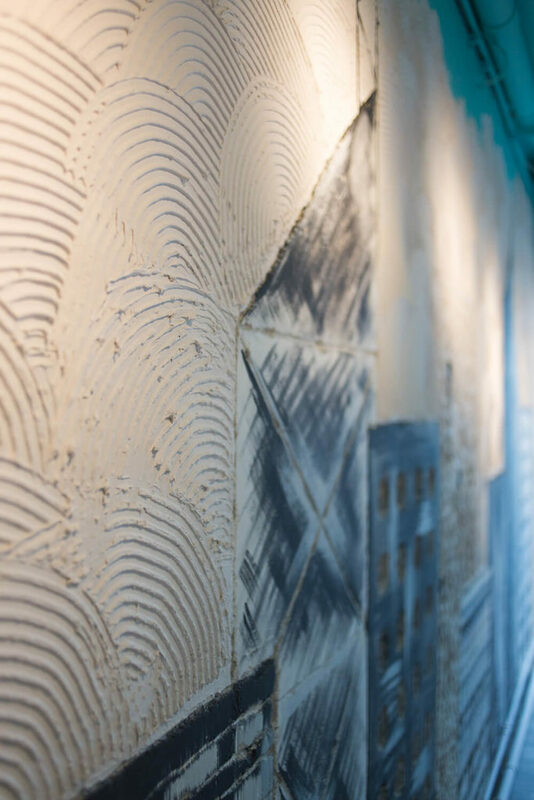 The team, including architects, interior designers, and graphic artists, shares a common passion for design. That passion clearly informs the corporate offices of the Studio 2 project, awash in bold colors, singular elements, and a bold sense of style. The project evokes a one-of-a-kind design philosophy that meshes the traditional and the modern in surprising fashion. Throughout the office, a striking dichotomy informs nearly every design aspect: you’ll see sharply modern shapes and materials contrasting with deeply traditional elements. This broad ethos paints a striking set of furniture pieces and wall adornments, from rows of connected white desks in bright wood to elegant light fixtures pairing old fashioned bulbs with contemporary frames. The walls themselves are utterly flush with detail, and vary from room to room. A lot of care was placed into making the facilities truly shine, so the bathroom is a unique focal point in this space. After a passageway filled with traditional red brick, the surroundings give way to high contrast greys and whites, dotted with natural wood. Even the vanity designs are strikingly original, with single slab wood countertops floating against the wall and deep vase-shaped vessel sinks in metallic tones. The final major piece of the puzzle is a kitchen area that evokes a distinctly futuristic take on traditional Japanese shoji architecture. Light natural wood and textured glass wraps the area, glowing warm with specialized lighting unique to the area. The entire office is a breath of fresh air, continually raising the stakes in terms of style and design. This is one corporate space that we’d be eager to inhabit! 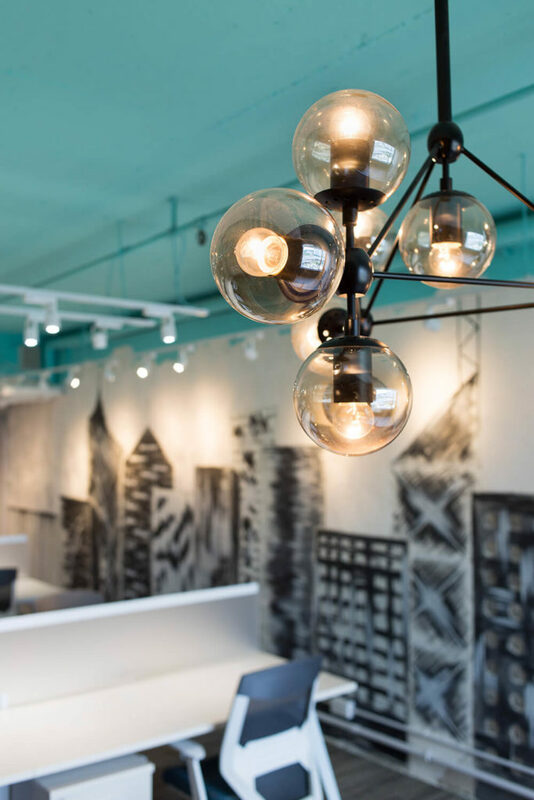 One of the uniquely timeless chandeliers glows in the foreground as we take in the hand-painted walls of the main office space, designed to look like the surrounding Hong Kong skyline. 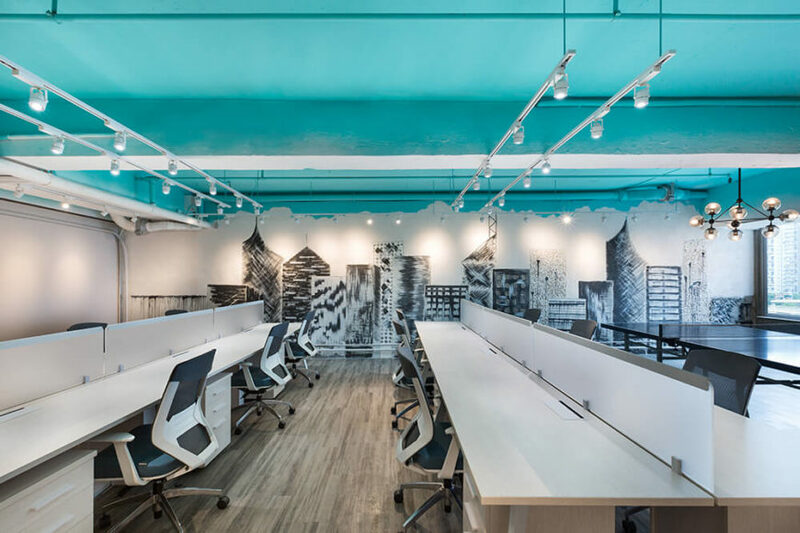 The rich textural detail and handcrafted look of the surroundings ensures that this modern office stands far above its peers in terms of customized personalization. The walls in particularly set it apart from nearly any corporate environment. Some open shelving storage is lined against the red brick wall in this corner, sporting design books and plants, sculptures and nicknacks. The old school industrial look is an intentional nod toward the timeless appeal of the project.